Of all the Utah nurseries you’ve never heard of, we’re one of the best. We are transparent with our customers from the get-go and are a one-stop shop. 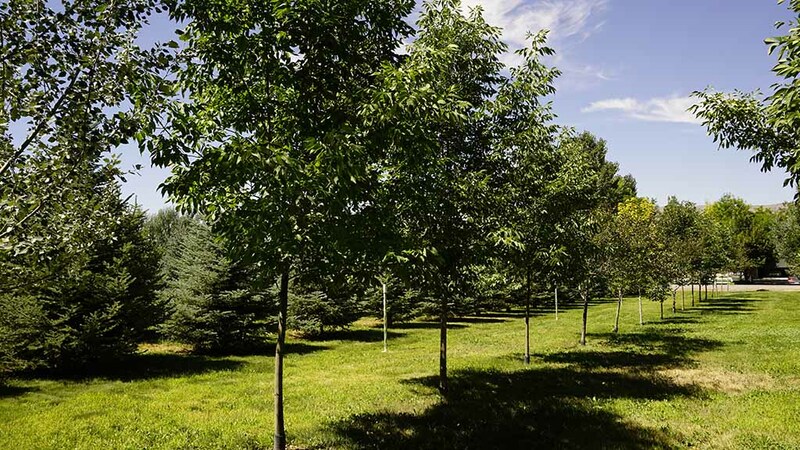 We deal primarily in pine trees, such as Pinyon Pine, Colorado Blue Spruce, Austrian Pine, and Bristlecone Pine, but have a variety of deciduous trees available to us as well. Our customers love that we have large trees. The ash trees we have are as tall as 25-30′ high. Our aspens are between 15 and 25′ tall. We have some pine nearing the 20′ height as well. Because we have a few different locations we’re able to grow many more trees and a wider variety than other Utah nurseries. We are unlike other nurseries in that we do it all for you. First, we’ll come to your house and get a good feel of what you’re wanting to do. Once we’ve assessed your wants and needs, we will suggest appropriate trees that will meet your needs and thrive in your yard. Second, we’ll walk through our farm with you and help you pick the best looking and best priced trees available. Third, we dig up the trees, load them on our trailer, and deliver them right to your residence. Fourth, we dig all the holes, plant the trees in your yard, build up the burms, and ensure they’re properly watered before we clean up and leave your property looking incredible. We are open Monday through Saturday, 7am to 7pm. You’re able to drop by our Draper location at 12782 South Fort Street whenever you’d like, or you can call ahead to have one of our staff members meet you there. If you have any questions you may call us at (385) 257-0055 or use the form on our Contact page and we’ll get back to you as soon as we can.